Is Alaskan Pollock Fish Good for You? Pollock is a cold water fish found in the northern oceans of the globe. There are actually two different species included under the more general name of pollock. There is one type, which is often referred to as Atlantic or sometimes referred to as coley in the British Isles. The other species is the Alaska or walleye pollock, sometimes referred to as Norwegian pollock as well. Regardless of which species is being discussed under the name of pollock, this fish is most often wild-caught and is considered a low-cost alternative to cod or haddock. Pollock tends to have a relatively mild flavor compared to most fish, is most often found in the form of fillets and is sometimes used to make imitation crab meat. Let’s dig a little deeper into why pollock fish is healthy. Besides these vitamins and minerals, pollock also contains 443 mg of omega-3 fatty acids (more than 177% DV) and 9 mg of omega-6 fatty acids. With zero carbs and its saturated fats profile at just 0.053 grams, pollock is a low cholesterol protein. 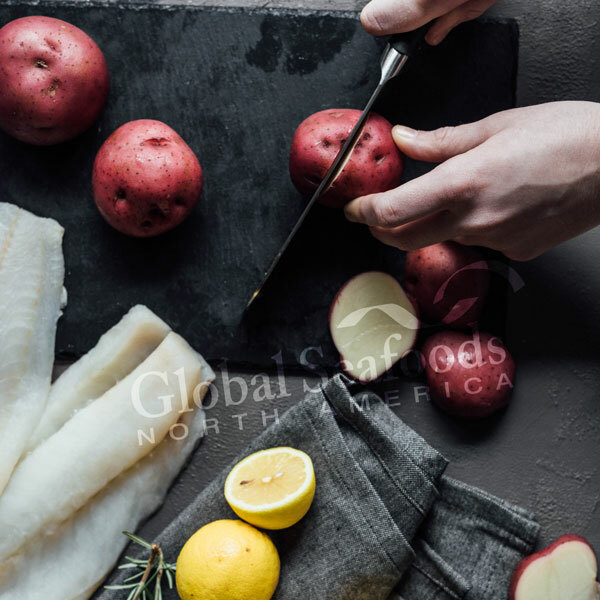 To be thorough, let’s also take a look at where Atlantic pollock and Alaskan pollock differ in nutritional values. Alaskan pollock also contains a slightly lower amount of omega-3 fatty acids at 393 grams (157% DV), but an equal amount of omega-6 fatty acids. The two share a similar cholesterol profile and zero carbs as well. With these numbers, it is hard to argue against the health benefits of pollock fish. Let’s take a closer look at those health benefits. Pollock Fish Benefits: When it comes to the health benefits of both Atlantic and Alaskan pollock fish, a delicious, white meat, fillet of pollock will blow you out of the water. Let’s go ahead and dive into those benefits. One of the greatest concerns on everyone’s mind is the development of heart disease. Pollock helps prevent heart disease through its low LDL and low triglycerides profile. An amino acid which is often blamed for high cholesterol is homocysteine. Homocysteine levels are reduced by vitamins B6 and B12. But that’s not pollock’s only contribution to preventing cardiovascular disease. Read on. Pollock can also help lower blood pressure because of the minerals in its profile. It is also high in selenium, which is inversely associated with a higher risk of cardiovascular diseases. When it boils down to heart health, however, it is the presence of omega-3 fatty acids, which are found in pollock, that hits the ball out of the park. Both eicosapentaenoic acid (EPA) and docosahexaenoic acid (DHA) make significant contributions to greater heart health and are both present in pollock’s nutritional profile. There are still more benefits to consider. Macular degeneration, especially for the elderly, is a major health concern along with the development of cataracts. Both of these eye health conditions can be prevented by the regular consumption of pollock flesh. Besides being healthy for your heart, as we mentioned already, omega-3 fatty acids help to reduce the effects of macular degeneration. These medium-chain fatty acids also play a role in the prevention of cataracts as well. The role of pollock fish in maintaining eye health does not end with its omega-3 content, its high vitamin B6 content also plays a significant role in reducing the risk of macular degeneration. Pollock also provides trace amounts of vitamin A, which contributes to eye health as well. You can already see that there are plenty of pollock health benefits, but there are plenty more. Because weight is such an essential component in increasing your risk of a number of different diseases, a weight-conscious diet is something that can no longer be ignored where maintaining wellness is concerned. Pollock has the nutritional profile necessary for managing your weight. By providing the necessary energy from its proteins without adding a load of carbs and saturated fats, not to mention the calories in pollock fish make it ideal for those watching their weight. Not only does pollock provide the necessary fuel without the added calories, but its high B12 content also gives you a boost of energy. That boost of energy received from B12 should encourage you to exercise more frequently, which is the other half of the weight management formula. Need we mention that EPA and DHA, found in omega-3s, contribute to decreased insulin resistance, which is also related to weight management? While we are discussing insulin resistance, let’s take a look at another of pollock’s health benefits; regulating blood sugar. The high omega-3 content and its related EPA and DHA are significant in both the prevention and treatment of diabetes. In addition to their role in insulin resistance, they also help to control blood sugar levels. Pollock fish also plays a major role in preventing the development of diabetes related complications like loss of vision, obesity and cognitive related issues. The role of niacin, abundant in Atlantic pollock varieties, plays a significant role in maintaining proper blood sugar levels. Increased fertility is another impressive health benefit associated with the consumption of pollock. It helps to make both males and females more fertile. Erectile function in males is greatly improved through higher amounts of niacin and both DHA and selenium help to increase the volume and motility of sperm. Reproductive viability in females is improved through a reduction of uterine inflammation, which tends to work against getting pregnant. Besides helping couples become pregnant, the development of the fetus is also enhanced through pollock’s B vitamin profile as well as the EPA and DHA content which contribute to neurodevelopment. Phosphorus, also abundant in pollock, helps with DNA and RNA formation during fetal development too. There are still more benefits of this potent fish, so let’s keep going. Those who suffer from migraines, arthritis or inflammation related diseases like fibromyalgia and IBS understand how certain foods trigger an inflammatory response, which tends to lead to significant pain. The good news is that pollock can help reduce your inflammation and pain response. Several nutrients found in pollock fish help with this health challenge they are: omega-3, B6 and niacin. Besides those three nutrients, magnesium and potassium also play an important role in inflammation and pain management. Those who suffer from migraines will be particular impressed by the fact that high levels of riboflavin, another nutrient found in pollock, are used to reduce the severity of migraines. If there is already a significant level of riboflavin from regular consumption of pollock, this form of treatment will work much faster. • Phosphorus. Helps balance hormonal, emotional and neurological responses. A deficiency of this mineral is associated with the development of dementia and Alzheimer’s disease.• Proteins. The proteins and amino acids in pollock help to focus the energy of neurotransmitters, enzymes and hormones for proper cognitive function.• Vitamin B6 and B12. Cognitive decline, depression and poor memory recall are typically associated with a deficiency of these vitamins.• EPA and DHA. These two components of omega-3 fatty acids are being heavily studied in connection with a treatment for Alzheimer’s disease and depression because of the way in which they affect neuroplasticity.• Niacin. This vitamin has also been connected to a decreased risk of dementia, depression, motion sickness and insomnia. Pollock has significant amounts of all of these nutrients, making it ideal for helping to maintain healthy cognitive function. • Omega-3s lower the risk of colon, breast and prostate cancer. • Selenium slows the spread of cancer and helps to repair cells damaged by cancer. 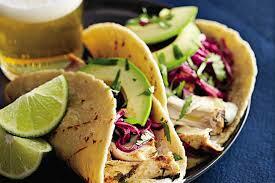 • Riboflavin helps protect against colon, digestive and hepatic related cancers. Obstructing the development of cancer cells, protecting the linings of cellular walls, and preventing and repairing the damage of free radicals are all functions carried out by the rich nutrients found in pollock. When considering the treatment of anemia, most people think of iron deficient anemia. Given that pollock only has trace amounts of iron, the treatment of anemia by consuming this fish doesn’t seem like a viable solution. Anemia can also be caused by deficiencies in vitamin B. Both vitamin B6 and B12 contribute to the production of red blood cells and hemoglobin as well as iron mobilization. Another factor related to anemia are high homocysteine levels. This amino acid interrupts the process of the synthesis of hormonal steroids and the transportation of oxygen to individual blood cells. Niacin helps to lower homocysteine levels and is found in a decent amount in Atlantic pollock. • Deficiencies of EPA and DHA from the lack of omega-3 fatty acids in your diet can lead to age and sun spots, eczema, psoriasis, dandruff and hair loss. Omega-3s also contribute to skin elasticity in order to get rid of wrinkles and lines. • B12 vitamins help to cell production in both skin and hair cells in several different ways. The result of their work in skin and hair cells results in the reduction of inflammation, dryness and discoloration. • Niacin is a major component in the production of collagen. Having enough collagen in your diet also contributes to skin cell health, elasticity and overall vibrancy. Besides keeping you looking younger, the nutrients found in pollock are helping to fortify the condition of your body’s largest and most critical protective organ; your skin. The first question on everyone’s mind when it comes to eating seafoods is whether or not it is safe to consume. In general, pollock tends to have fewer risks of mercury contamination than other types of fish. The Environmental Defense Fund http://seafood.edf.org/pollock mercury content rating for both Atlantic and Alaskan pollock is low, allowing for more than four servings of this type of fish on a monthly basis without the risks of mercury contamination. In addition to its low mercury contamination, the risk factors of antibiotic, pesticides and other chemical contaminations typical among farm raised seafoods are nearly non-existent in pollock due to the fact that the vast amounts of these fish are wild-caught and never farmed. • Alaskan pollock in Western Bering Sea are considered unsustainable because of how they are caught and stored. Before purchasing or cooking, be certain that you are consuming pollock from a sustainable area, make sure to check the label and avoid pollock from the Western Bering Sea area. • Overly processed versions of packaged fillet of pollock and fish sticks might not contain the nutrient amounts discussed earlier due to the manner in which they were processed. Additionally, highly processed fish often contains harmful additives which are not typically found in unprocessed fish. This is typically the source of the bad reputation which is often attached to pollock among consumers as these highly processed varieties are often used in fast food restaurants. • The flesh of Northern Pacific walleye or Alaskan pollock have been known to contain parasitic worms, which is similar to those found in cod. Reputable sellers will remove these worms, if present, and present a safe and healthy product. Besides the dangers listed above, proper cooking of pollock or any other fish is an essential factor when it comes to the health and safety of consuming pollock. In short, to insure the best quality and greatest nutrient value, read labels, know where to buy it from reputable distributors and avoid highly processed pollock. Wrapping It Up If you really are fishing for better health, no matter which species of delicious pollock you choose to purchase and consume, has a ton of essential nutrients which contribute to better overall health. Including, low-cost pollock in your diet on a regular basis can contribute to your overall health and wellness in a number of different ways without running a great risk of mercury or farm related contaminants. Among the most notable of pollock health benefits are weight management, aiding in the treatment of cancer, preventing cardiovascular disease, helping promote fertility and healthy fetal development, helping prevent or treat anemia, and keeping your brain functioning at high levels. With this list of benefits in mind, you are already looking for where to buy pollock. Contact us to buy pollock and other seafood.